Gayle is Director of Operations for the firm’s Healthcare, Life Sciences & Education industry unit, which includes more than 110 attorneys. 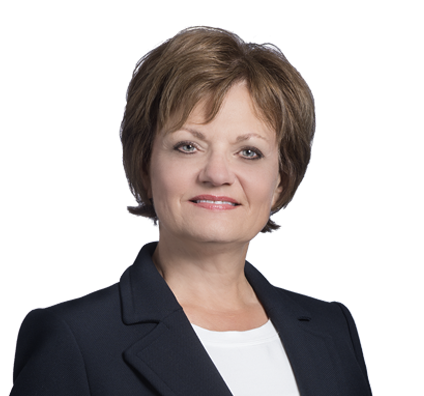 In her leadership role, Gayle directs efforts to develop and execute long-term strategic and annual business plans that focus on providing superior legal services to the firm’s clients. In overseeing the unit’s day-to-day operations, Gayle ensures that client matters are staffed properly and that client needs are satisfied in a timely fashion. In addition, Gayle focuses on legal project management, process improvement and alternative billing arrangements, as these are important cornerstones to providing high-value, efficient and effective legal service. Gayle also oversees the unit’s budgeting, performance and financial management. She works with the unit’s attorneys on their individual development plans and with the marketing team on the unit’s brand awareness plan. Prior to joining Husch Blackwell, Gayle worked in the telecommunications industry for 20 years, holding several financial and operational leadership positions. Gayle began her career in public accounting at Ernst & Young.